This is not the first kind of device that will make homes smarter from Fibaro, as they have delivered a Flood Sensor before, and neither will it be the last. In fact, the Fibaro Intercom is touted to be one of the first few devices that is available on the market that enables the user to transfer Full HD (1080p) video recordings with a wide viewing angle of 180 degrees (the fisheye perspective). 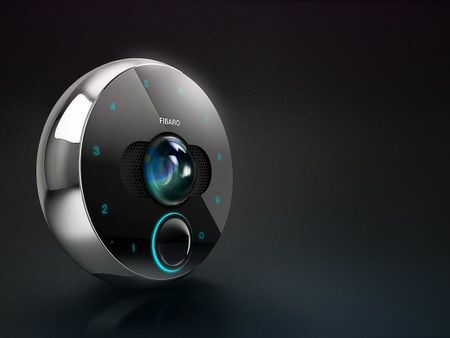 With this kind of capability, the Fibaro Intercom makes it possible to monitor and record all visitors to the user’s home. Not only that, it is smart enough to register what is happening around the home and property. In addition, it will also be able to double up as an extra camera for the home monitoring system. Using an infrared LED, the Intercom will be able to operate in nighttime mode. After all, it is smart enough to automatically activate when low light intensity is detected, ensuring that the device will be able to continue recording in high quality, even when dusk falls. All recorded video files will be stashed away on an SD card. Seems to be worth every single penny, don’t you think so?